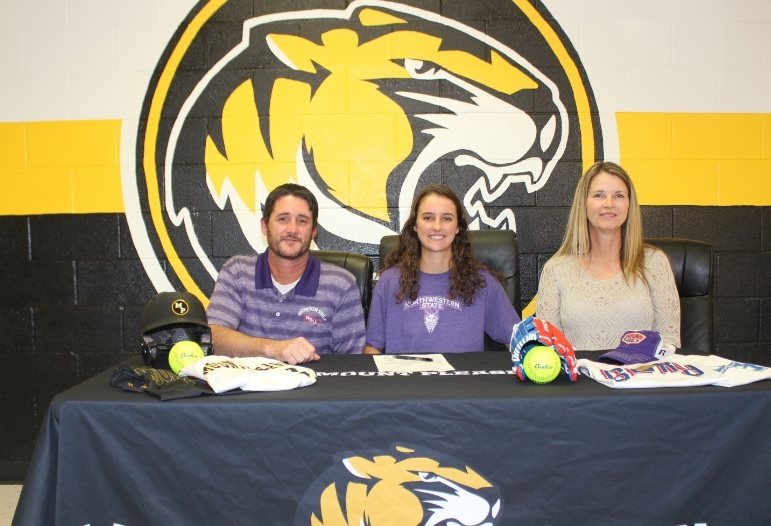 Mount Pleasant High School senior Jordan Dickerson signed a Division I scholarship to play softball for Northwestern State University on November 14. Northwestern is located in Natchitoches, La. Jordan is the daughter of Kenny and Carole Dickerson.